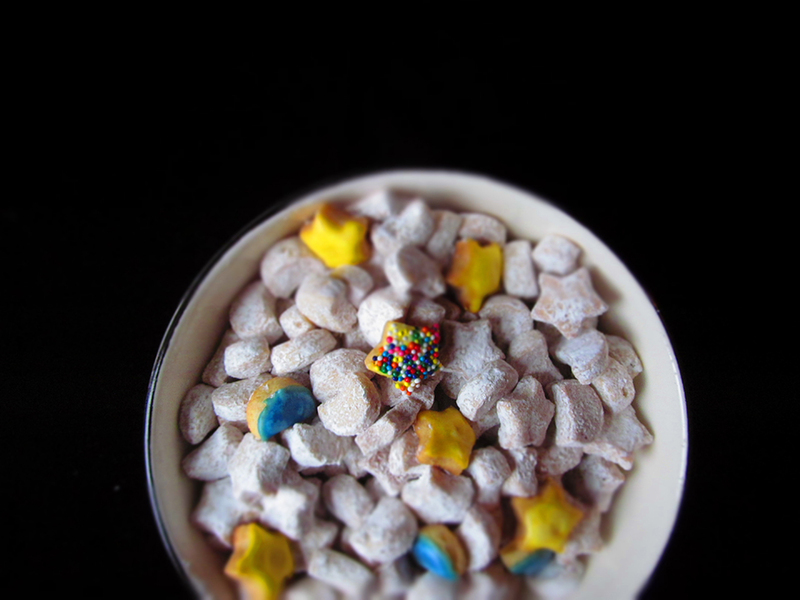 These Mini Crystalized-Ginger Honey Cookies have everything that your baba (a.k.a. grandmother, nana, mimi…) told you to have when you felt under the weather… honey, ginger, and lemon. Lemon: High in vitamin C, which keeps the immune system strong and neutralizes the free radicals in your body. Lemon’s high vitamin C content can help reduced the inflammation and swelling caused by these free radicals. Ginger: Ginger is helpful for settling upset stomachs, dizziness, nausea, and cold sweats. Honey: Is a natural cough suppressant, which is why it helps sooth a sore throat. Honey is also said to improve the body’s ability to fight infection and decreases the risk of fever. While some question the medicinal value of these three ingredients, when it comes to these cookies, this combination is magical. The natural sweetness of the honey balances the tartness of the lemon and the spiciness of the ginger, giving them a soothing flavor. Plus the addition of a “little” extra sugar in these cookies will put a smile on anyone’s face. 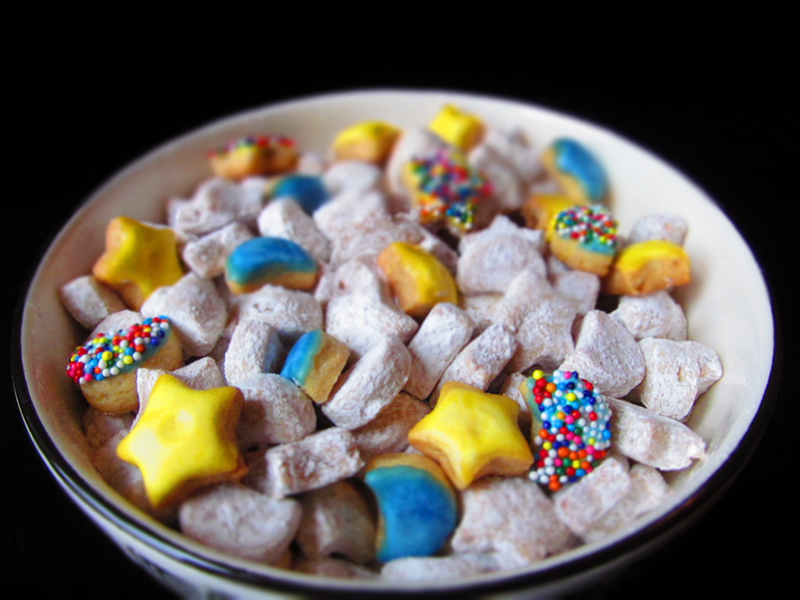 There are a couple of different ways that you can shape these mini cookies. 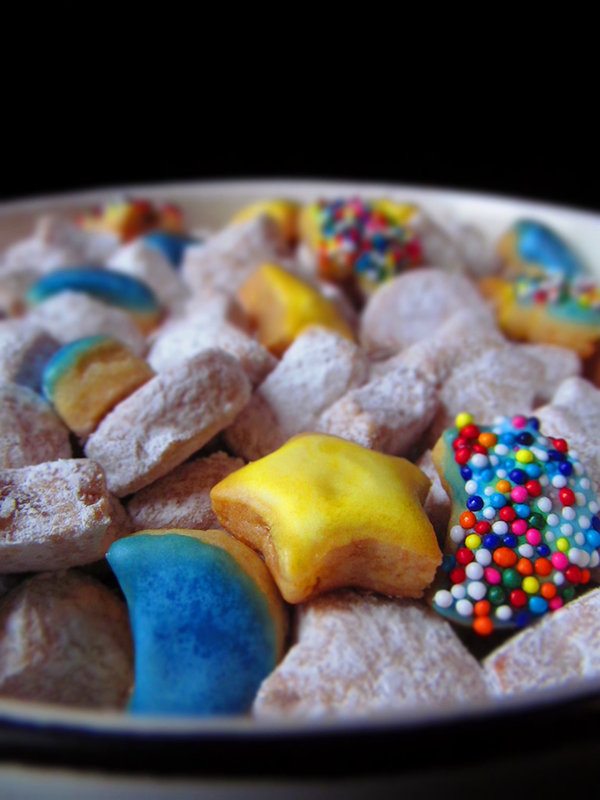 We rolled them and used mini cookie cutters to shape them, but they also work well by rolling them into ropes and cutting them into 1/2 inch “bites”. We decided to coat the majority of these beauties in powdered sugar after they cooled, which is the easiest decoration method. However, we also dipped some into a simple lemon glaze with a little food coloring…. and then went one step further and decorated some with mini nonpareils. 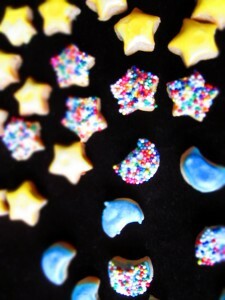 With these cookies being so small, they are definitely time consuming to decorate, but we think it’s totally worth it! To make a simple lemon glaze for the cookies just whisk 1 tablespoon of fresh lemon juice into 1 cup of powdered sugar until smooth. Add food coloring at your discretion. Combine honey, butter, and lemon zest in a small saucepan and melt over low heat. Once butter is melted and ingredients are combined, remove from heat and pour mixture into a large bowl, cool to room temperature. In a medium bowl, combine the flour, granulated sugar, ground ginger, baking soda, salt and pepper. Once mixed add the finely chopped crystallized ginger and coat with the flour mixture. Set aside. Mix egg into cooled honey mixture. Gradually stir into the flour mixture and knead in the last of the flour mixture by hand. Cover and chill about 1 hour or until dough is easy to handle. Divide dough into 2 portions. On a lightly floured surface, or in-between parchment. Roll out each portion until about ¼ inch thick. Then use your favorite mini cookie cutters and cut away. Once cookies are cut put them on a parchment lined cookie sheet*. If you over handled your cookies and they are soft refrigerate them on the cookie sheet for at least 10 minutes. Bake for 6 to 8 minutes or until tops are very lightly browned. Transfer cookies to paper towels to cool. Once cool coat with powdered sugar** or dip in easy lemon sugar frosting. *Use a baking pan or sheet with a small lip. This will help the small cookies not roll off your cookie sheet into the oven. 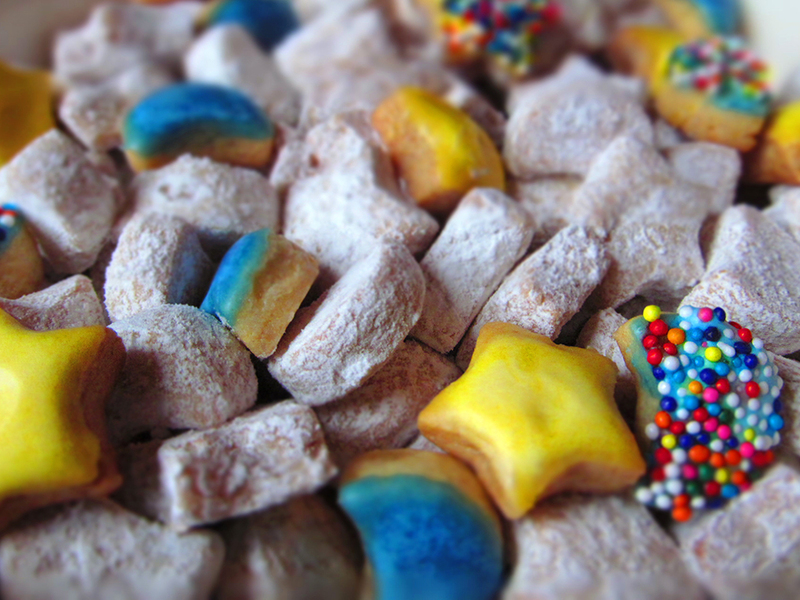 **You can either roll cookies in powdered sugar or you can place the powdered sugar in a large ziplock bag and shake the cookies until covered.